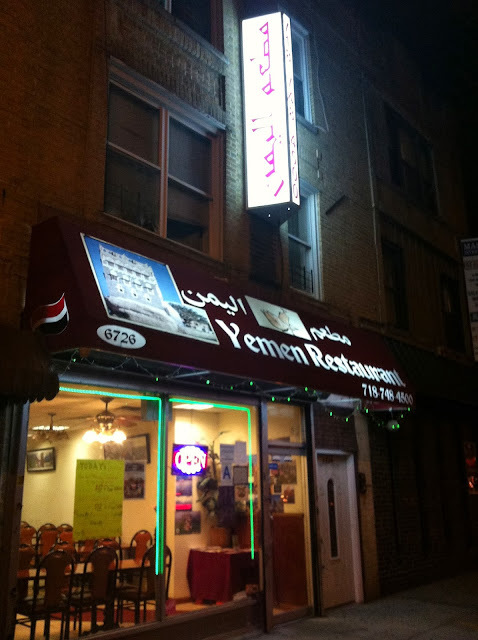 Yemen Restaurant (مطعم اليمن) was a wonderful, serendipitous find in Bay Ridge. We had originally planned to go to Bab Al Yemen but then discovered it was closed! By a stroke of fate, my friend was late so while I was waiting for him, I started wandering around the area and found Yemen Restaurant. With no reviews on Yelp, I thought it didn't really exist. I thought I was seeing things so I took a photo before heading back to find my friend to bring him there. The restaurant was still there when I got back and still open even though it was kinda late! 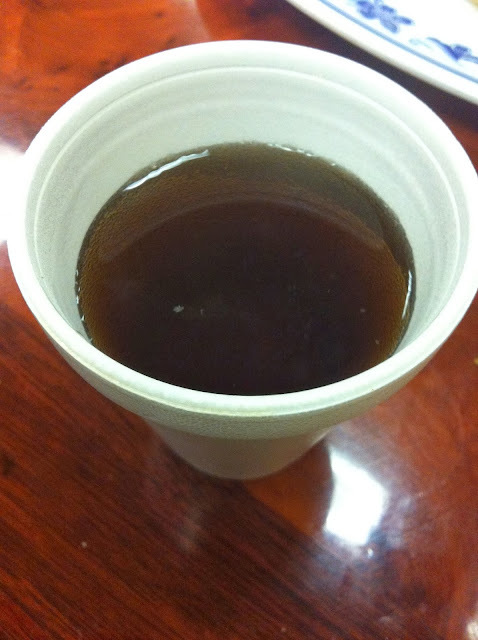 We started off with the maraq soup as usual. We also got the simple salad which had some ranch dressing and sahawiq. Both were great. Next we got two main dishes: chicken ogda and lamb zerbian. I really liked the lamb zerbian. The flavors in the rice were amazing, and the lamb was perfectly tender. This was really excellent. 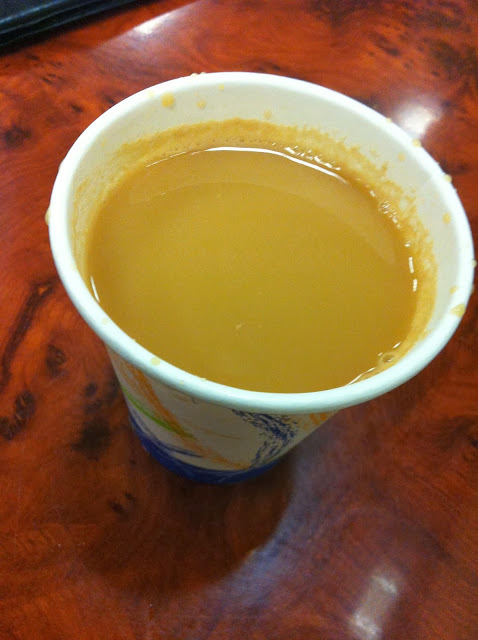 We finished the meal with Yemeni tea and some dessert, called sabayah. It's thin layers of pastry bread with butter in between and Yemeni honey on top. This was my first time trying it and I really liked the middle parts that were extra soft. The kind Yemeni man was really extremely kind and I told them I was missing one of my favorite drinks from Qatar, called karak, and so he made it for me! It was perfect. Everyone was so friendly in this restaurant and the other Yemeni guys eating there also spoke with us and gave us some good tips about Yemeni food. Overall, this was a really wonderful meal and experience. $36 for 2 people (but the amount of food we ordered could feed 3-4 people).